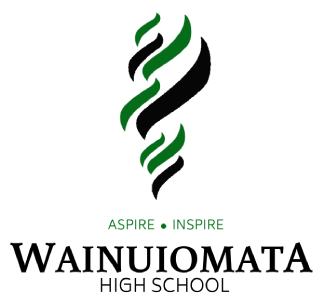 Like and follow us on facebook for the latest news and successes at Wainuiomata High School. For ease of use our Facebook Feed appears on the right hand side of most pages of this website. We have implemented an App which can be used on a cellphone to help you keep in touch with the High School and up-to-date with important information. The App is designed to allow you to receive important school-wide alerts, reminders for upcoming trips, extra-curricular events, and also to advise us of a student absence. You can also call or email a member of staff at the click of a button, and also login into the High school portal to check attendance and progress of your student. The app is easy to use and can be downloaded from the Google Play store or the Apple App Store. Simply go to your designated app provided (Google Play or Apple App Store), enter “SchoolAppsNZ” in the search area and click on SchoolAppsNZ (by snAPP mobile). 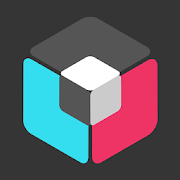 The app logo is shown below. 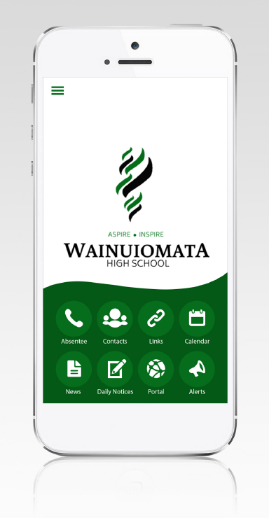 Once installed, select “Wainuiomata High School” and you are all set up. Just choose the alerts you would like to receive communications for. As new alter groups are set up (summer sports, extra-curricular events, fieldtrips etc) we will advise all users via a school-wide alert so you won’t miss any important information.